The last day of camp is unusual because the theme is not a human right, but rather a duty. 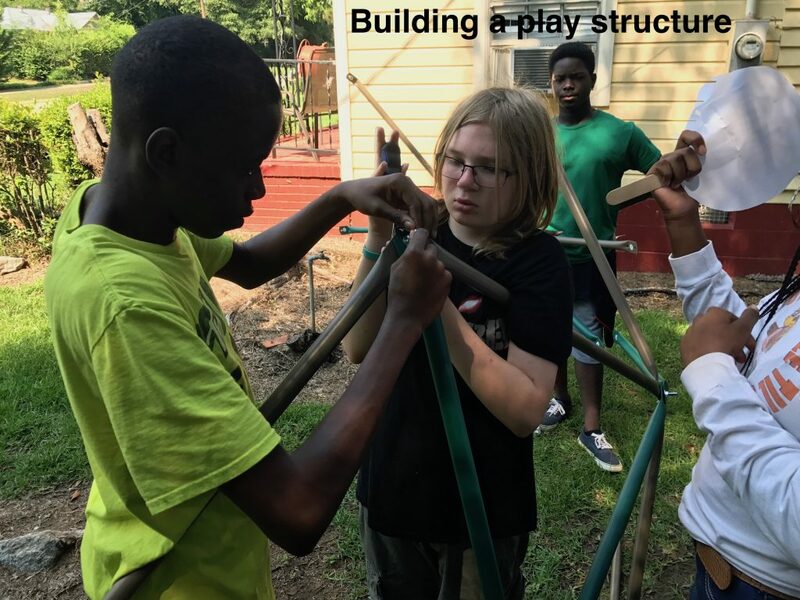 Article 29 of Universal Declaration of Human Rights states, “Everyone has duties to the community in which alone the free and full development of his personality is possible.” Why wrap up camp with discussion of our duties to the community? Our campers see the connection between dignity and duty. One of the ways our society neglects to treat people with dignity is when we expect nothing of them. This morning, campers identified some groups that are often seen as not human enough to have responsibilities to the community: people experiencing homelessness, people with disabilities, and kids. On Friday, our campers demonstrated that it’s through our duties to the community that we experience dignity – and provide dignity to others. Campers served some of the most marginalized in our community in two important ways. First, campers stepped out of their comfort zones to visit immigrant detainees at Stewart Detention Facility in Lumpkin, Georgia. By having a conversation with a stranger, and by offering respect, care, and love, they brightened the day of men in terrible situations. Second, campers used their hands (and sweat) to build two picnic tables and a play structure at El Refugio, a hospitality house for relatives of detainees at Stewart. 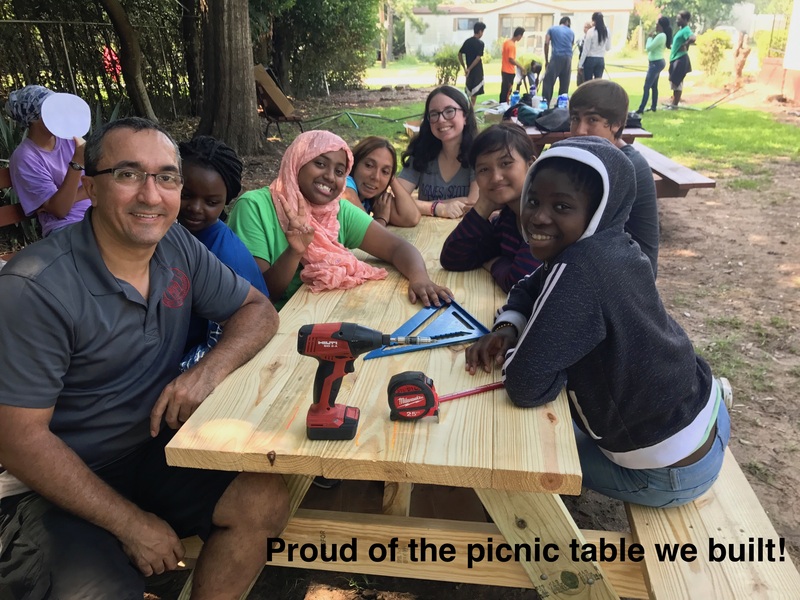 Because of Peacebuilders youth, El Refugio will be a more welcoming community space for people from across the southeast who come to visit a loved one. We are so proud of the good work of our campers! Camper Crespo: I will go to the office of my apartment complex and ask if they can clean up the soccer field so that kids can play on it. You can support me by (1) going with me, (2) checking in with me to see how I’m doing with my goal, or (3) looking for problems in your own neighborhood and thinking of possible solutions. Counselor Elysee: I will help lead discussions in my college about poverty in Africa and how the political instability impacts children’s education. You can support me by (1) sending me emails of encouragement, (2) donating clothes that will be sent to Africa, or (3) donating children’s books. Facilitator Amilcar: I will continue to advocate for more just policies that impact undocumented immigrants and asylum seekers who are in immigration custody. You can support me by (1) Inviting me or another person from El Refugio to speak to your group about immigrant detention, (2) volunteering for a political candidate who supports positive steps to reform U.S. immigration policy, or (3) watching the movie A Better Life with friends or family and discussing it together. If you’d like to join campers in supporting one of these goals (or other goals that we’ll be posting soon), email us and we’ll help you plug in! View our full list of actions you can take in solidarity with our 2017 campers and do something to make human rights more accessible to all! 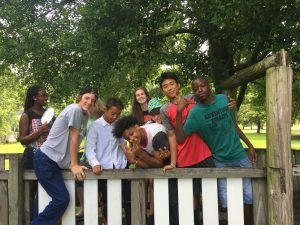 Have you been inspired by our campers to take social action, yourself? Please tell us (or respond to this email) so we can share with our campers that this movement extends beyond just them!